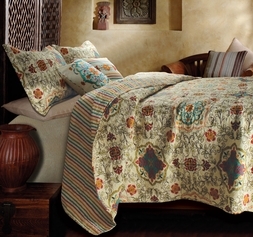 Exotic medallions inpired by spices from the East, the Esprit design provides a perfect accent to a bohemian bedroom. 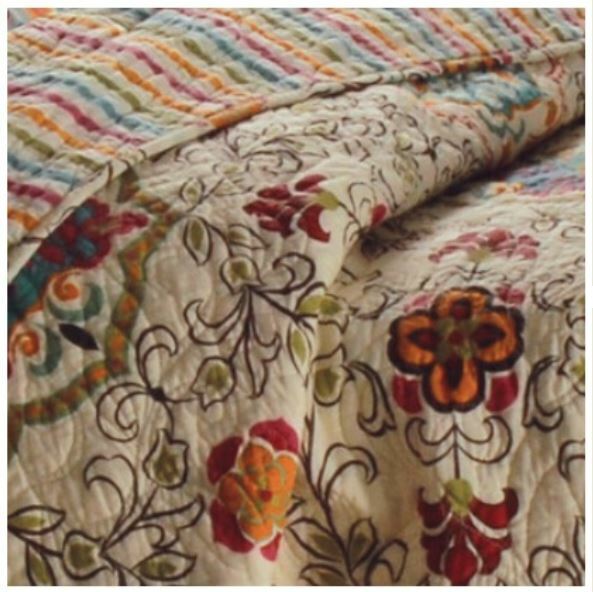 Quilted with an all-over daisychain stitch pattern, and reverses to a coordinating stripe. 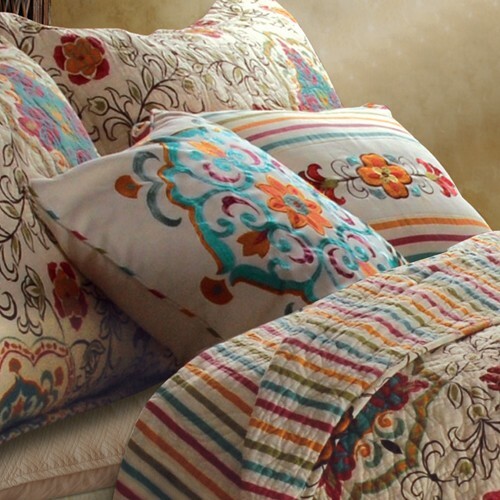 Set includes quilt + two shams (accent pillows sold separately).